Ref. 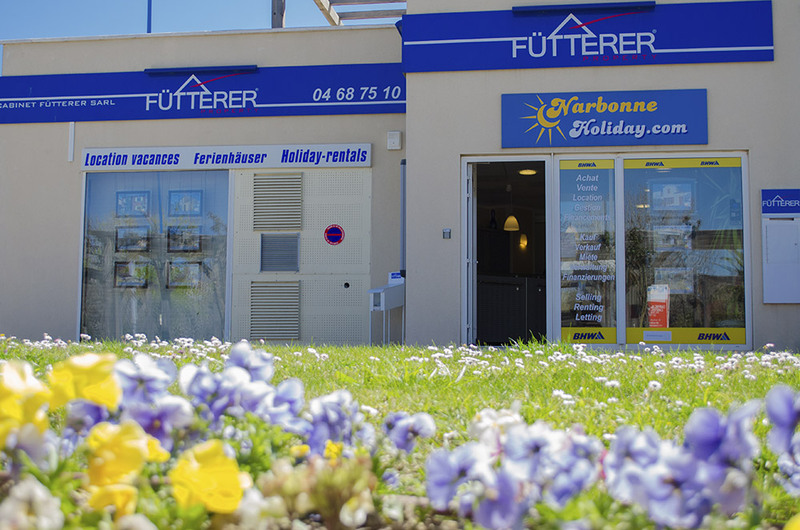 2933 - Fütterer Property presents in Gruissan - Les Ayguades : Pavilion sold furnished comprising on the ground floor a veranda that opens in full offering an extra living room for both your days and evenings summer and winter. Indeed, with the advantage of a full-south exposure, the veranda can provide the housing with natural heat even in colder periods. Once in the veranda, you access the living room in which is a beautiful kitchen (plate four gas burners, oven, refrigerator-freezer). A small room with cupboard downstairs, a shower room and a separate toilet. Upstairs, the mezzanine was completely closed and tiled for more beds. A second toilet is installed for convenience. The pavilion also has a beautiful exterior. Subject to the status of the condominium - Co-ownership fees : 380 €/year - Co-ownership of 561 lots.